Raj Plastic Products mfg. Manufacturer and Exporter Of a wide range of brass electrical wiring accessories, which includes Rod to Cable Lug Clamp, Rod to Tape Clamp, U Bolt - Rod Clamp, U Bolt - Rod to Cable Clamp and many more. Our earthing accessories are properly designed & installed to safeguard both lives & the equipment. Corrosion resistance, conductivity and mechanical strength are essential considerations in manufacturing our earthling accessories. The Brass Electrical Wiring Accessories has products like: Split Bolt, D Clamp, Earth Tag, Lock Nut, Reducer, etc...and are made from BS 2874 brass and various kinds of plating are used like natural brass, nickel plating, etc.. to give the product a good and look and strength. These Products are available in various sizes as per the requirement. 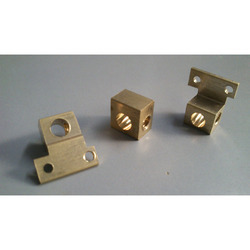 We present an exclusive range of Brass Switchgear Components to our clients. These are manufactured using best grade raw materials and advanced technology. Our offered ranges of these products are appreciated for superior quality, durability and resistance to rust. We also provide this product as per the client specification and requirement. 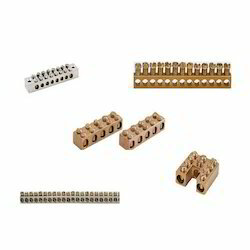 Like 13Amp plug pin, 6amp and 16Amp Plug pin as per customer drawings and samples. Please send us your requirement items drawings or samples. 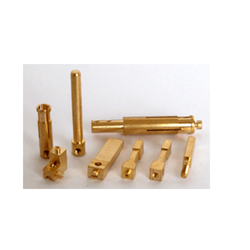 Brass machining parts have several key advantages compared to machining other materials. Brass turned parts and components are durable, cost-efficient, and even create a tighter seal for fittings. In addition, brass machining and turning parts have a high heat and corrosion resistance! 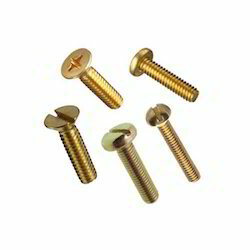 More importantly, Cox Manufacturing's brass screw machine parts are easy to machine and join, and made to your specifications and standards! Brass machining is used in a wide variety of applications and industries, including medical, electrical, plumbing, and even consumer goods. Companies prefer small brass turned parts and components because it's one of the easiest materials to machine, it's cost efficient, and extrememly durable. 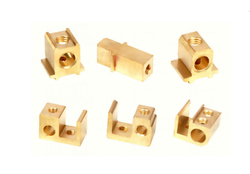 Machined brass fittings are often used in electronic hardware because of its low stregnth and weight properties. Additional brass machining applications include engineering and plumbling & steam work because machined brass fittings have a low friction coefficient and high corrosion resistant properties. Cox Manufacturing understands all industries and application specifications and standards, which is why we're the premier brass parts manufacturer. Owing to our vast experience, we have been successful in catering to the requirements of our esteemed clients by offering Brass Switch Terminals. All these products are manufactured using high quality material that is sourced from most trusted and reliable vendors of the market. Customers can avail our range in various sizes and dimensions at nominal rates. We are leading manufacturer of Brass MCB Parts as per drawing & specification, which is manufactured using best grade raw materials and advanced technology and can be availed by our client's at most comprehensive prices. 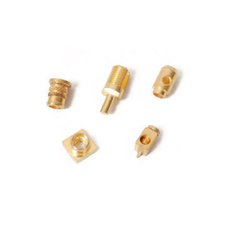 Brass MCB Parts have an ample wiring space for easy termination and are equipped with flame retardant thermoplastic barriers between terminals to prevent short-circuit. We are one of the leading manufacturer and supplier of Switchgear Spares.We obligated to meet the quality standards as per the customer demand.